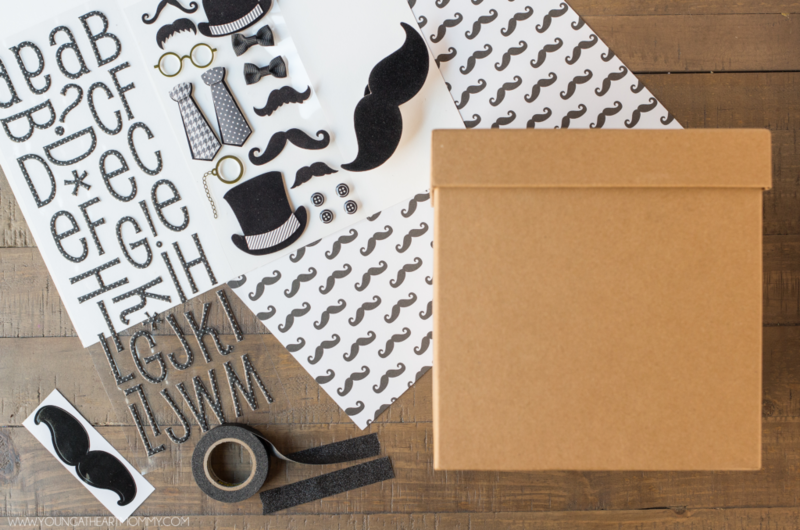 Father’s Day will be here before you know it and if you’re still stuck on which “World’s Greatest Dad” mug to get, it’s best to shift your gifting strategy from the traditional to the unexpected. You can make dad feel extra special with a thoughtful present made at home. After all, receiving a pack of socks or set of tools can be awfully mundane. Exhausted the same ol’ ideas year after year? 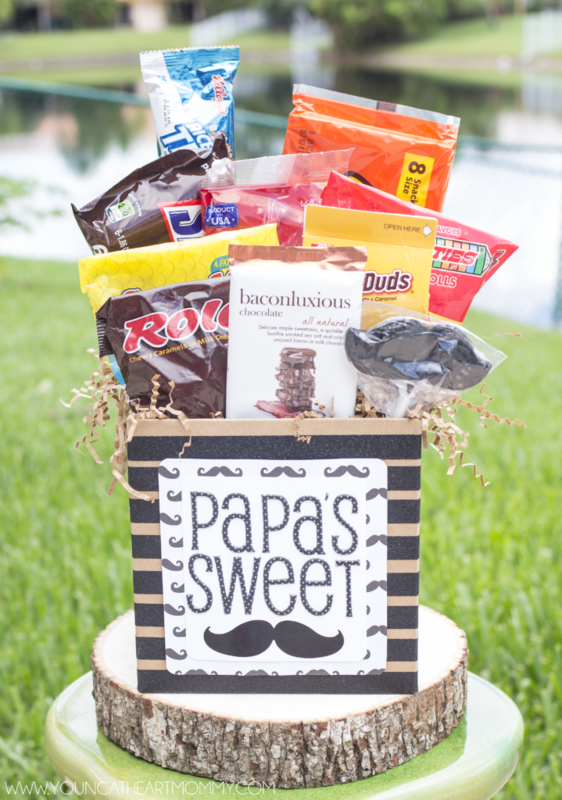 Then it’s time to think outside of the box and fill it with dad’s favorite sweet treats instead! 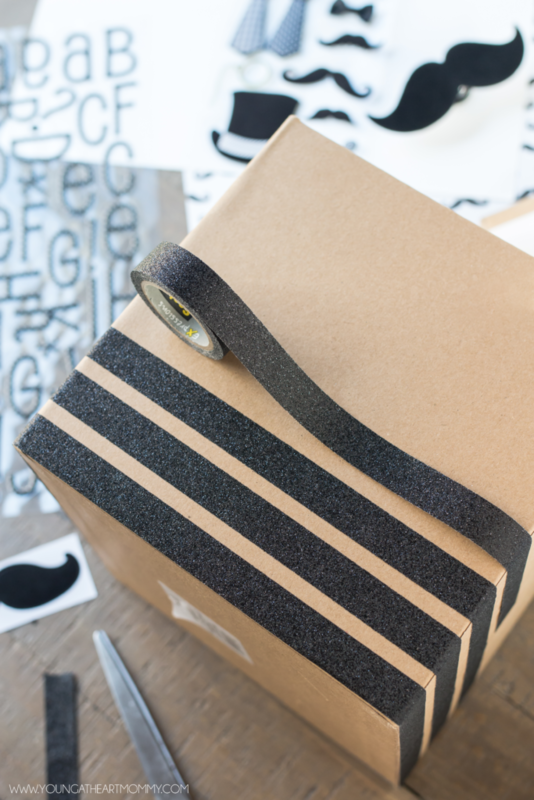 Begin by wrapping the washi tape around the gift box, creating a stripe like pattern. If you have a hard time getting the ends to stick to one another, a dab of hot glue will do the trick. Often, the glittered washi tape has a hard time sticking to itself so don’t be surprised if the the ends do flip up. Cut two squares out of the mustache paper. The size will vary depending on the size of the box you have chosen to use. This box was roughly 7″ X 7″ so I made my squares 5-1/2″ X 5-1/2″. I also used the corner rounder to smooth out the edges for a finished look. This is optional. Now cut a smaller square out of your white card stock paper. Again, the size will vary. For reference, I made this square 4-1/2″ x 4-1/2″. 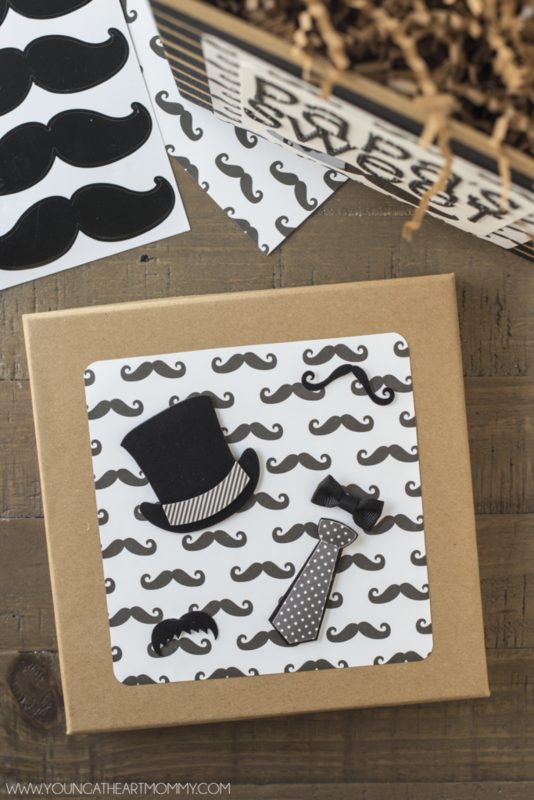 Use glue to attach the white square in the center of one of the mustache squares to create a layered look. 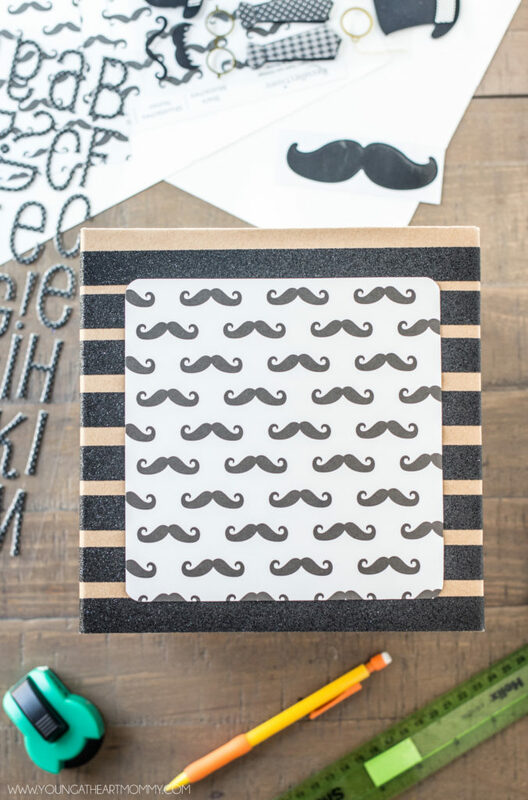 Also, add your “Sweet Stache” message by applying the adhesive letters and mustache sticker. The second mustache paper square should be attached to the lid. 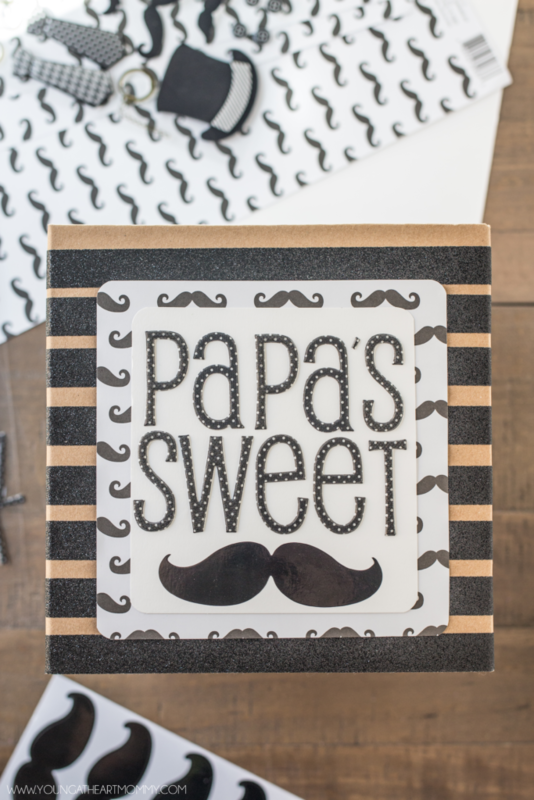 Decorate with mustache or masculine stickers that suit dad’s personality. Stuff the gift box with shredded filler and candy. He can re-use the box and re-fill with more treats in the future. It will also be an adorable addition to his desk or work space! 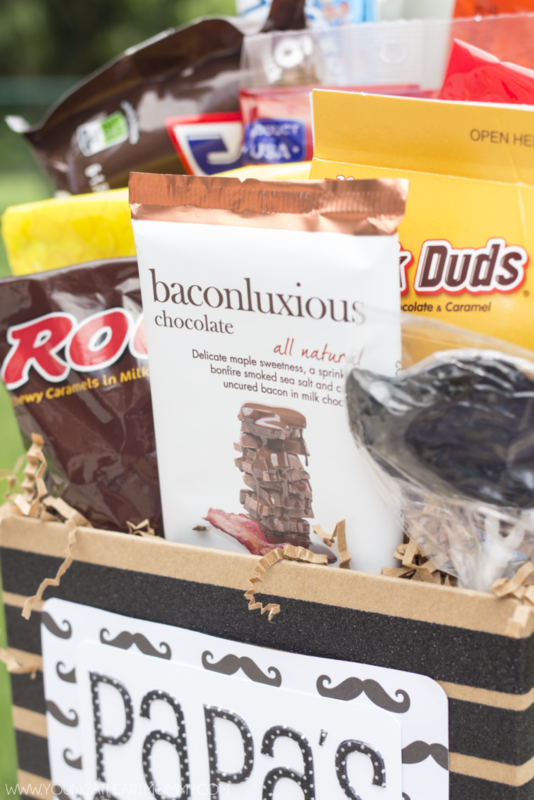 What kind of homemade gifts have you made for that special dad or grandfather in your life? I have been going crazy looking for the perfect gift and this is a great idea! Especially if Dad or grandpa is a sweets lover. Thank you so much for sharing such a cute idea! What a cute idea!! 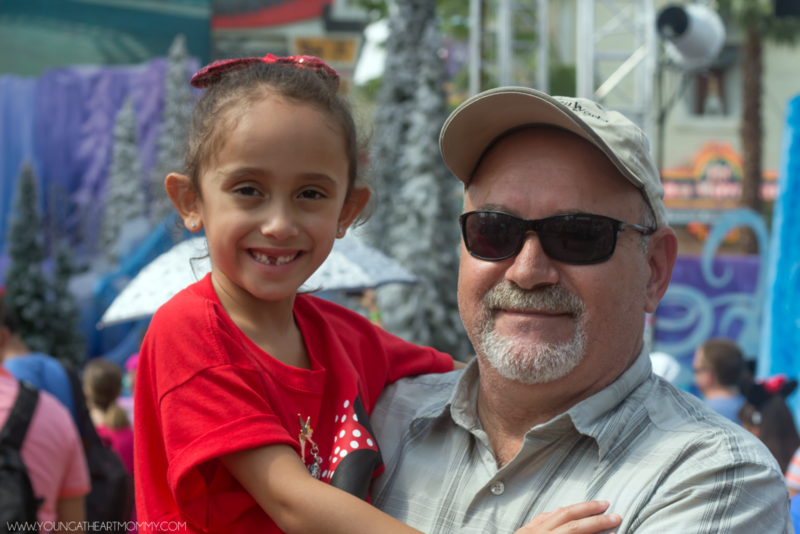 It would be fun to create with the grand kiddies for grandpa!! Thanks so much for sharing this wonderful Father's Day idea.